The Israeli handball becomes better and better in the last years. The adult national team beat Poland, the U20’s finished at the 13th place in the European championship in Slovenia and the U18’s finished at the 14th place in the European championship in Croatia. The Israeli top handball player of all-time, Avishay Smoler, has retired last summer but the Israeli handball believe in the local wonder kid, Yonatan Dayan (we will publish a special interview with him in the upcoming days, who made his debut in the VFL Gummersbach first team at the age of 17. Last June, the Israeli handball decided to improve herself with new Portuguese national technical director, Rolando Freitas. The former Portuguese national head coach became the fourth local who works abroad after Pedro Alvarez (HIB Liebenau Handball Akademie-Austria), Ricardo Vasconcelos (Great Britain national team) and Paulo Jorge Pereira (CSM București). He made already major decisions in the last five months: he teaches all the system how to work in more technology way, hired new coaches, like Dvir Goldshtein who came back from four months study in Füchse Berlin, and people from all over the Israeli handball have told good words on him. Such as “he drives all over Israel to watch and talk with players…hard worker…..he has a lot of knowledge….he cares on everything”. In a special interview to Handball-Planet.com, Freitas gave his perspective on the Israeli, Portuguese and European handball. Rolando, how do you conclude your first months in Israel? “We have a lot of work but I am very happy with our last results in the young ages. Last month we made very good result with Poland and we saw a lot of young players – that we work with them on daily basis – helped the national team to win”. 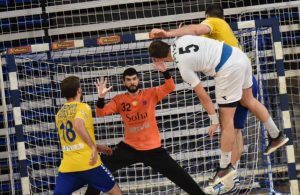 What do you think about the Israeli club’s handball? 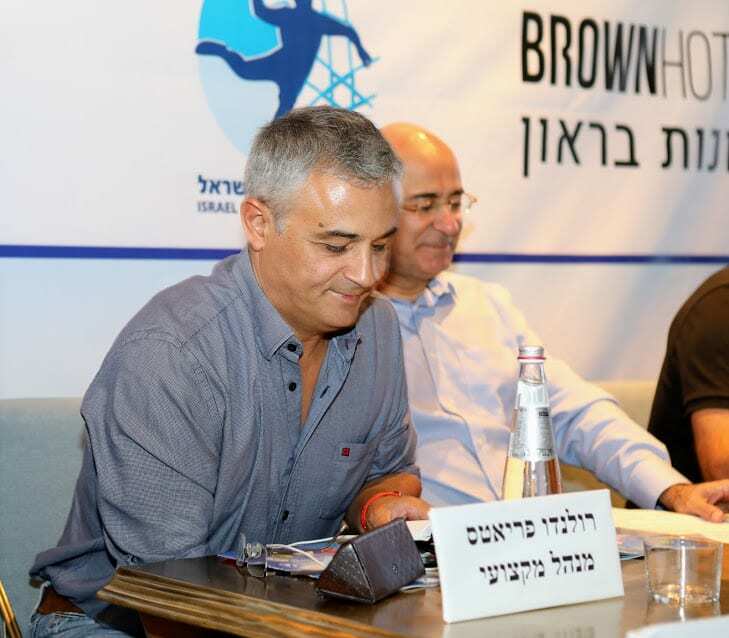 “The Israeli handball clubs have potential to grow up in Europe. I except for results that are more successful. They have the potential to close the gap from Europe”. Do you think that Israel can reach a major tournament in the upcoming years? “I hope that after the match with Poland we will continue forward to the 2020 European Championship. We can see the light at the end of the tunnel after that win. I am very happy because we showed ourselves that we can be competitive at a higher level. If it won’t be in the next championship, it is near”. What are the main disabilities of the Israeli handball? “First of all, I think that we need to focus on the things that we have and don’t look at what are our disabilities. Secondly, we will not be higher and we understand it. We have to work hard on the physical section and mentally we have to believe in ourselves. Mostly, we need more and more European experience for all our players”. Thru the last year, we hear many coaches and players talk about the shot clock option what is your opinion? “Randomly, the attack time is 45 seconds. I think that the EHF make an amazing job with the referees but for the referees and everybody, we need to take from them any responsibly that we can”. As Coaches, “we don’t have the same Passive Play line like the referees because each of everyone have it for himself; we are human beings and not the same. This is why it is a good option”. Portugal national team and club teams became better in the last years. Do you believe that they will become a major national team in the world? “It is very difficult to become in the top eight in the world because there is 6 nations that are truly better than the others. But, afterwards, the gap is so narrow that this is why I believe that the European championship with 24 teams is better for Portugal and all the others”. In the Club’s handball, “I think that the results will come if the Portuguese will continue in three ways: 1. Hard work with young players, 2. More players that will go abroad for better leagues, such as João Ferraz in HSG Wetzlar, Gilberto Duarte in FC Barcelona and Pedro Portela in Tremblay en France , 3. Keep improving the local league. This is a long run”. We look at the VELUX EHF Champions League and see many team power changes. Who are your main favorites for the final four? “Big question! The final four is only for big clubs and I believe that the next one will be an amazing weekend for the European handball and for the whole world. I think that this the time of Paris Saint Germain that, at least, will reach the final. At the semifinal, there will be one German team, SG Flensburg-Handewitt or Rhein-Neckar Löwen and I still think that Vardar Skopje have the abilities to reach the final four. FC Barcelona are very strong this season and the new candidate, in my opinion, is Pick Szeged”.